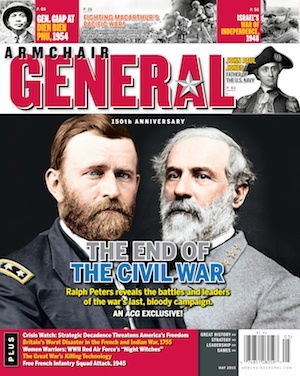 Dana Lombardy | Armchair General Magazine - We Put YOU in Command! Dana Lombardy recently joined the staff of ACG Online as an Associate Editor. Since 1971, Dana has contributed as an editor, writer, cartographer, graphic artist and designer for more than 100 history books and magazines and two dozen wargames, including his award-winning Streets of Stalingrad (three separate editions since first released in 1979). A frequent speaker on the seminar circuit, he has made nearly twenty television appearances, including multiple episodes of The History Channel’s "Tales of the Gun" series. Dana was Publisher of Napoleon Journal from 1996-2000. Photo shows Dana at Historicon 2006 giving a talk on the Soviet Offensive against the Americans. Curious?